The current system allows party leaders to pick and choose the list of candidates the electorate can vote for and guarantees a strong majority in parliament for the winning party. UNCERTAINTY OVER ITALY’S economy has deepened as political instability in the country fuels market fears that it will follow Greece in a default on its government bonds and require a bailout. 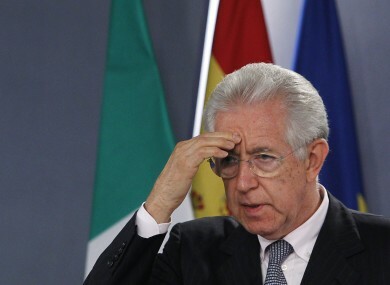 Italian Prime Minister Mario Monti will step down for a general election next spring and it is unclear what electoral system will be used as time runs out for politicians to replace the current law, Reuters reports. Under the current electoral law, sometimes referred to as “pigsty law”, the electorate cannot vote directly for candidates but rather party leaders choose a fixed list under a proportional system for voters to choose from. This system allows leaders to favour friends or candidates who are more compliant with their views and the law also give the winning party a large premium which guarantees a strong majority in parliament. The law has been strongly criticised in the past, even by the man who introduced the law, the separatists Northern League’s Roberto Calderoli who soon after its introduction called it “crap”. Earlier this year Italy’s highest court refused an attempt to repeal the law despite a petition signed by 1.2 million people. Last month Italian President Giorgio Napolitano told political parties in the country to make faster progress to reform the electoral law to reinforce Italy international credibility. Most members of parliament want to see a change in the law but there is disagreement between parties on what system should replace it. Business Insider reported that Citi economist Jürgen Michels said this political instability in Italy could impact on the outcome of the general election and so intensify market fears in the run up to the election. Email “Italy's electoral law increases market fears”. Feedback on “Italy's electoral law increases market fears”.